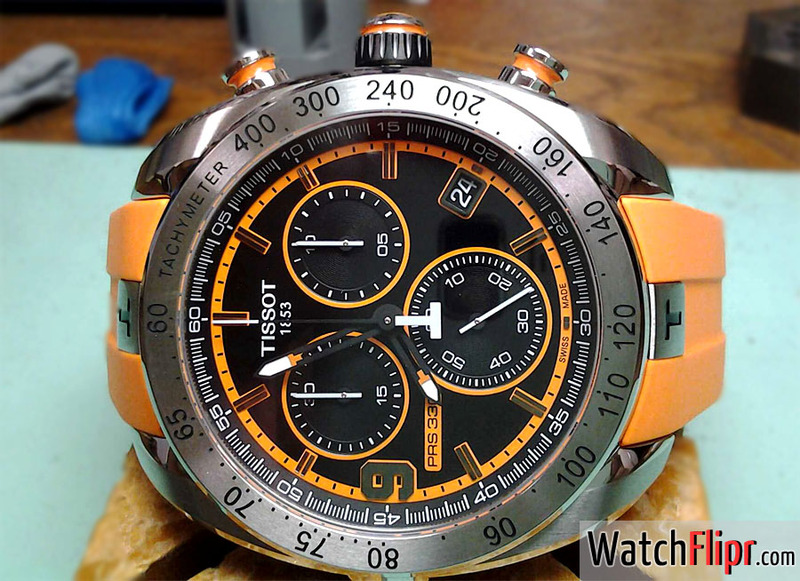 The Tony Parker limited edition model watch (ref: T076.417.17.057.01) from Tissot is quite cool this year. It has a Swiss quartz movement, 44mm steel case, and a sporty rubber strap. The orange is striking and is not over done. The contrast from the black dial with accents makes the PRS 330 great sports pick at just $775 USD. Tony Parker has an interesting story himself with his French background, and coming from the Euro Basketball leagues is not the easiest entrance to the NBA. He is not a typical basketball player which makes his work with Tissot even more interesting and fun to follow. Overall a great looking fan watch with a bit of a story for your pals to envy. This watch would be awesome with a black band. I think the orange strap is what makes it.